A delegation of the Mongolian University of Science and Technology (MUST) visited the TU Bergakademie Freiberg of Germany on 10-11 April. On site, MUST President Prof. B.Ochirbat extended the cooperation agreement for student exchange with Rector Prof. Dr. Klaus-Dieter Barbknecht. 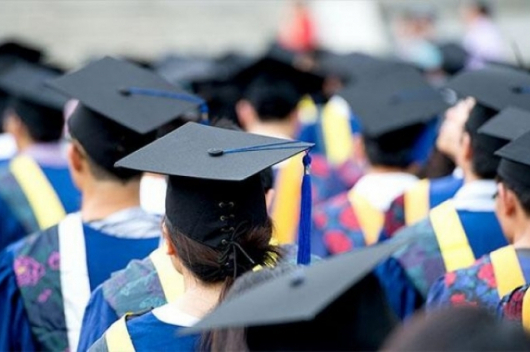 Founded in 1959, MUST is one of Mongolia’s best universities. With its high-quality education, it produces many leading engineers in the fields of science, technology and engineering. The partnership agreement between the MUST and the TU Bergakademie Freiberg, which has existed since 1993 and advocates better training standards in the engineering sector – especially in mining-related subjects – has also contributed to this development. 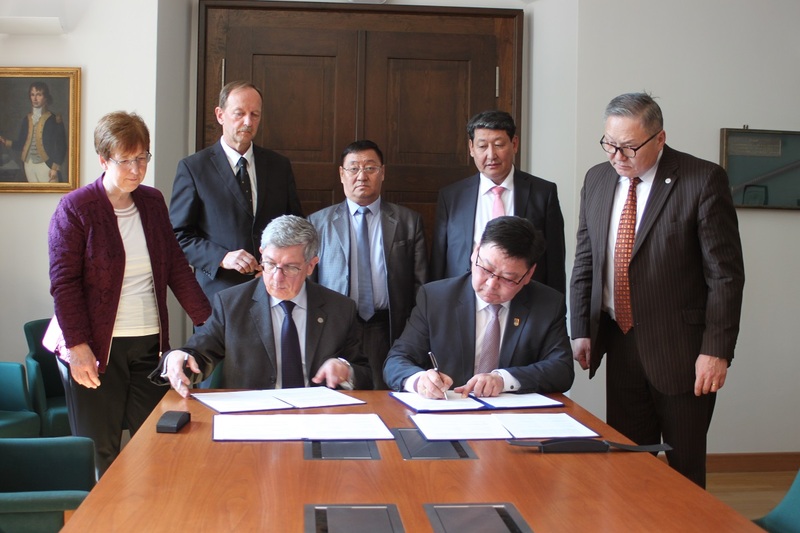 Since 2011 there has been a German-Mongolian cooperation in the education of students in the mining sector. Within the framework of the 3+2 agreement, under the responsibility of Prof. Carsten Drebenstedt, students complete the first part of their Bachelor’s degree at MUST and then switch to the Geotechnics/Mining course at TU Bergakademie Freiberg, where they complete their studies. During their three-year basic study period, they first learn the German language and other subjects in the engineering basics necessary for their later stay in Freiberg. The agreement was extended on 10 April. In addition to the contract extensions, talks on the further development of the cooperation, for example with scientists in the fields of building materials technology, processing and energy process technology, were particularly important. A meeting with Mongolian students in Freiberg was also important to the guests, in order to take up hints and suggestions. A total of 45 Mongolian students and doctoral students are currently studying in Freiberg in various disciplines. But also Freiberg students, scientists and professors regularly travel to Mongolia for exchange semesters, geological expeditions or scientific conferences. 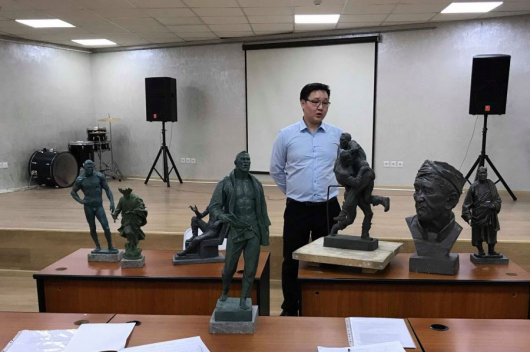 Many of the Mongolian graduates who studied at the Freiberg Mining Academy in the 70s and 80s are now working as university lecturers at MUST. Come to Mongolia – to study!